We use a stucco application for our brickface process, performed with a minimum of three coats of hand-troweled Portland cement. 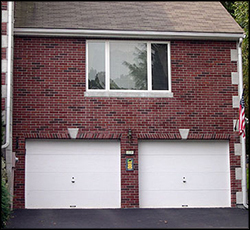 The last two coats — offered in a choice of textures and colors — are hand scored, to create the appearance of a full brick design. Trowel on the second and third coats of machine mixed cement, sand, plasticizers and mineral pigments in the colors and texture of your choice. The second and third coats are applied simultaneously to ensure proper bonding. The third coat is then scored into the second coat to create the different color mortar between the bricks. The surface is finally brush toned with additional colors to achieve a multi color brick effect if desired. 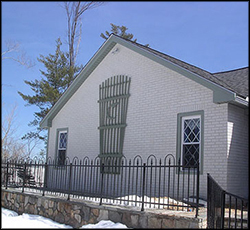 When finished this three-coat Portland cement stucco system will create the look and feel of a full size brick wall without having to install footings, lintels, sills or custom windows. 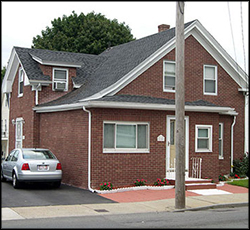 For more information about brickface specifications from the experts at New England Brickface, please contact us here or call us directly at 508.400.1241..